Redmond WA. | Carter Subaru XAG By United States Sports Authority. 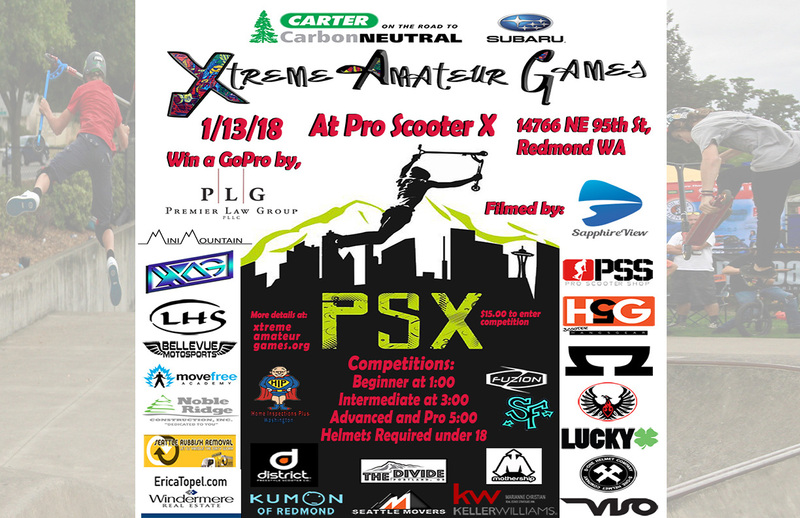 Don’t miss the upcoming Carter Subaru Xtreme Amateur Games at Pacific Scooter Experience, in Redmond WA. All participants are required to have a waiver on file. All Participants are required to wear a helmet and must have parent/guardian to sign a waiver for them. Park participants may follow the link below to print your own waiver. Subscribe for notifications of upcoming competitions. ©2015-18 U.S. Sports Authority LLC. Designed by Web Media PDX.